These classes are designed to further develop your puppy's social skills as well as owners learning sound knowledge to help them lift their puppy's compliance levels. 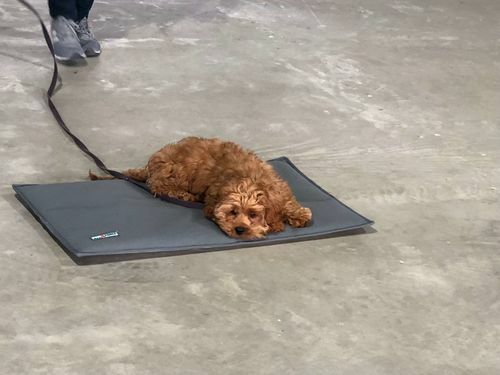 Exercises focusing on calming your puppy down and learning to make them become more patient and be able to wait for certain things are covered in these classes. Whether your puppy has attended puppy school or not, taking them to a juvenile class is of great benefit to you and your dog's relationship by learning ways to gain a nice structure within the household and to raise a lovely mannered puppy into a happy and balanced dog. Juvenile Classes are held weekly over 4 weeks of 1 hour duration. Please contact Sonia on 0438 730 428 for further information and/or to book your place for juvenile class. (minimum of 3 puppies required to run a class).